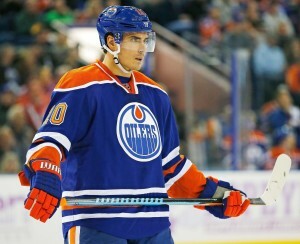 Is it Fair to Label Nail Yakupov a Bust? By now you would have heard that Nail Yakupov has asked for a trade out of Edmonton. It’s been a rocky road in the NHL for the former first-overall pick, and it appears as though both sides are ready to move on. Yakupov is just 22 years-old, and brimming with talent, but rumors that trade offers weren’t much more than a second-round pick shows just how much his stock has fallen. Draft status comes with expectations and accolades, but how much is it really an indicator of talent? Prospects are often the product of their draft class, and their junior statistics, neither of which guarantee success at the pro level. The Oilers may have won the lottery in 2012, but perhaps they lost more than they gained. A lot of people don’t care for revisionist history, because hindsight is 20/20 and you can’t go back and change the pick. But, looking back does provide opportunity to learn from mistakes, and figure out what you can do better. Edmonton’s scouting department figured to be picking second overall, because of the standings, but thanks to the luck of the lottery balls, the Oilers once again had the top-pick (their third in a row). At the time, Everett Silvertips defenceman Ryan Murray was the consensus favorite among the Oilers scouts. Nail Yakupov was not. Everyone knew that. The Oilers had plenty of forwards, and it only made sense to go with a defenceman, and Murray seemed to fit the bill perfectly. He was 6 feet tall, 201 pounds, moved the puck well, and was responsible in his own zone. He needed some refinement to be sure, but the scouts nearly unanimously thought the Oilers should pick him. Yakupov wasn’t really on the radar early on. In fact, before getting hurt, Alex Galchenyuk was seen by many scouts as the top prospect that year. Yakupov had good stats in junior, scoring 80 goals and 170 points over two seasons for the Sarnia Sting, though still seen as the lesser talent to his teammate Galchenyuk. The Oilers elected to go with Yakupov over Murray and everyone else, despite the scouts favoring the defenceman 9-2. Did management make a mistake? Well, at the time of the draft, no other player was rated high enough to go number one. Plus, Ryan Murray’s NHL career has been plagued with injury, and in retrospect, he may not even be among the top-5 defenceman to come out of that draft year. Central scouting ranked Yakupov as number one, and the Oilers followed them rather than the advice of their own scouts. (Not that they should be proud about rating Murray so highly anyway). Filip Forsberg was ranked as the top international prospect, and you could argue he may be the best talent to come out of that draft. But, no one would have suggested that the Oilers should have chosen him first overall. Scouts sometimes get things wrong. Management often gets things wrong. The reason some would have scoffed at the selection of Yakupov was because the Oilers already had plenty of small forwards and were in desperate need of defence; not because he wasn’t the best player available. Should Yakupov have developed into a better player? The soul-crushing environment in Edmonton, the constant changing of coaches and system and the lack of veteran presence didn’t help the kid, who perhaps wasn’t as NHL ready as other first-overall picks would be. He’s still so young, and a lot players don’t hit their stride until they’re 22 or 23 years-old, making Yak a prime candidate to take a step forward. Look at Galchenyuk. Only now does he finally look like the front-line centerman the Habs were hoping he would become when they drafted him. He has 154 points in 269 regular season games, on a better team for the most part. Yakupov has 108 in 249 games. Calling Yakupov a bust is the easy thing to do. The trade request plays right into that narrative. But imagine if the Oilers chose Ryan Murray, who has nine goals in 154 games as an NHLer. Perhaps people would be asking why they didn’t take Yakupov. We’ll never know how Murray would have shaken out in Edmonton, just as we’ll never know how Yakupov would have fared in a different city. When the Oilers finally do trade him, he might become a star. He also might be a complimentary player for the rest of his career. The reality is, was he ever supposed to be more than that? Yakupov may look like a bust for the Oilers because he was a first overall pick, and they may lose him for practically nothing after an underwhelming stint in Edmonton. But this isn’t like choosing Erik Johnson over Jonathan Toews. Yakupov was never going to be the guy that pushed them into the playoffs. The Oilers won the lottery in a bad year, and did what the majority of other teams in their position would have done. Their problems are much further reaching than one draft pick. Keep that in mind when evaluating Yakupov.